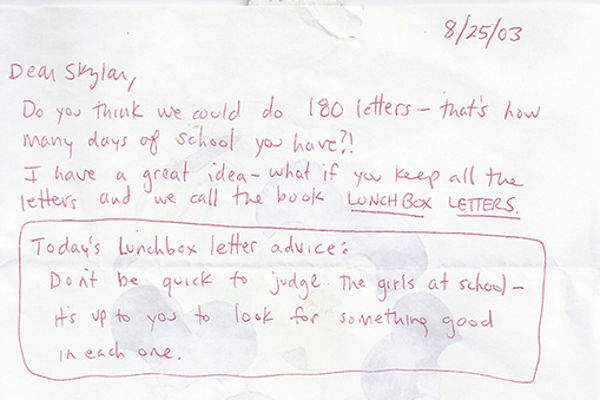 If you think those little notes you leave in your child’s lunchbox will soon be forgotten, this heart-warming story will make you think again. 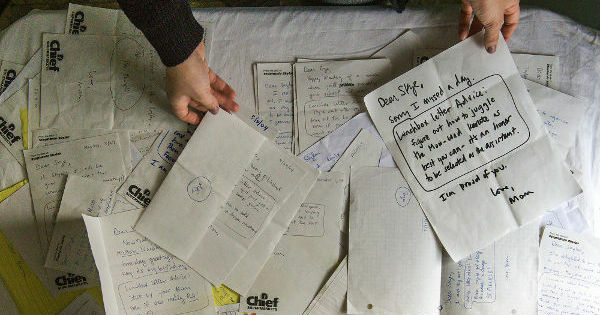 It’s the tale of an 11-year-old and the notes of advice left in her lunchbox that have continued to guide her into adulthood. Sometimes we do things for our children which seem thankless and unappreciated. But this story is the perfect demonstration of how young minds work, and how much of an influence even the smallest act can have on their growth. 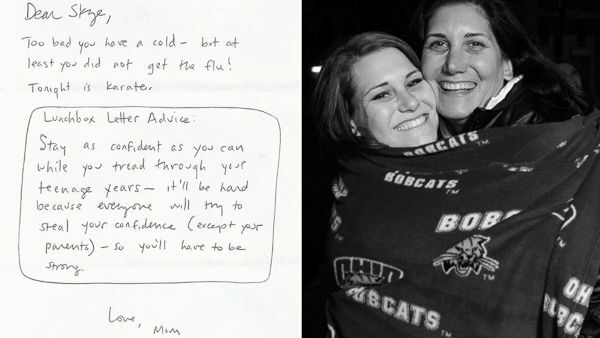 Skye Gould, now 23, has begun sharing the more than 100 advice notes her mother wrote to her from 2003 to 2004, when she was a 12-year-old. As Skye explains, while it was a small window of time in her life, it was significant. Her mother worked long hours and used the letters as a way to create and foster a connection with her daughter. “Shortly after I finished 6th grade, my family moved from a small town in Ohio to South Florida. Before this move, I was extremely shy; being a confident young woman was never something that came naturally to me. My mom wrote me these letters because she believed in the person that I was always meant to be. I am eternally grateful for these reminders,” Skye explains. 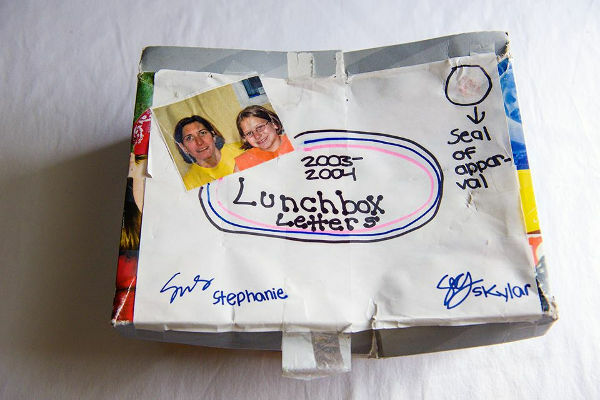 She kept the letters safe in a shoebox for a decade, before deciding to put them to use for a college project. She didn’t tell her mum about her project, instead surprising her on her birthday with a link to the Advice From My Mom website. “Of course I burst out crying; I was so thrilled and touched. It was amazing she did this, and it was certainly effective for her project,” Skye’s mum, Stephanie Skylar, told ABC News. Skye wants the Advice From My Mom project to trigger memories in others. While your parents may not have written you notes, they most likely have passed on advice which may not have seem important at the time, but has since shined a light on times of trouble. 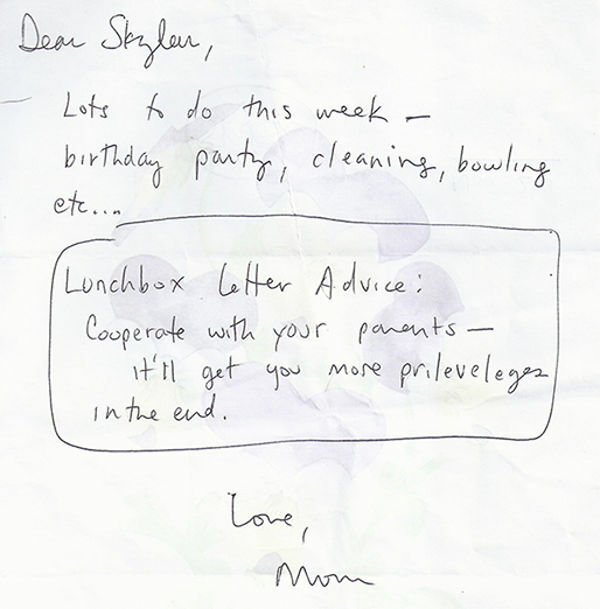 Do you write lunchbox letters to your children? What advice have your parents passed on to you?